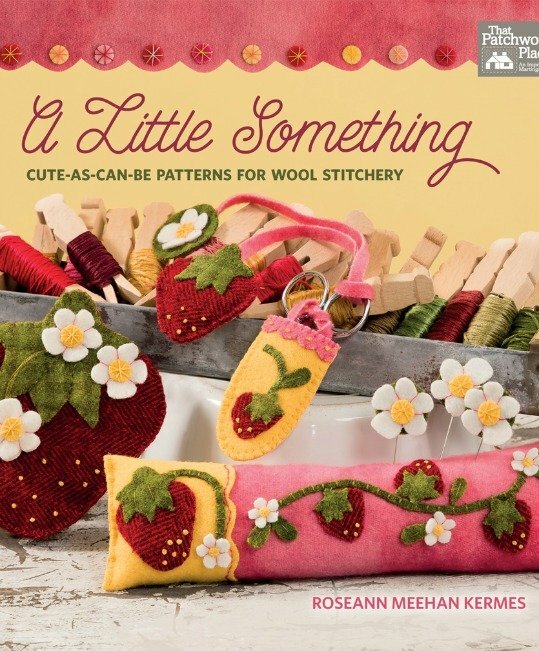 Almost a year to the day since I began working on A Little Something with Martingale/That Patchwork Place, my wool applique book is almost ready to ship. Get an autographed copy and a small gift for ordering from Rosebud's Cottage right here. The books will be shipping later in May and I'll get them out as soon as they arrive. Martingale did a terrific job of putting it together!